Minimalism – to me is another tool which encompasses the KIASMA philosophy. It could be in terms if form or construction techniques. Ultimately the goal is to tackle complex urban challenges in the easiest possible way. But little did we know that even the ancient regionalistic buildings are capable of facing the modern man made chaos with its simplistic structural construction – the greatest example being – PAGODAS. They are strange piece of regionalistic architecture which gives you a reflection of withstanding the odds in the KIASMA way. These “ancient high rise” are three to five storey pagodas initially built in India to enshrine remains of Buddha. This structure has to its credit of surviving the many serious earthquakes which have occurred time and again in Japan. The secrets behind its construction are layered and dependent of each other. 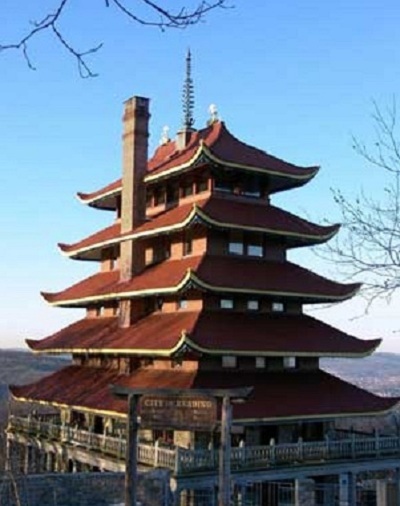 Every structural part of pagoda is made of wood – which when subjected to force may bend and wrap but will not break easily hence making it a flexible material which is capable of absorbing seismic forces. The second layer is the fastening of timber, not with nails but by inserting carved thinner and narrower ends of timber into slots. This is done so that if the ground begins to shake; the wood surfaces rub against each other and prevent the seismic energy from travelling far up the tower. To make the structure more flexible, there are more than 1000 large mortise joints done, also due to the diminishing sizes which are laid one on top of the another, one notices that incase of an earthquake each shakes independently of the other. The 4th secret is the “wobbling effect”. Each layer of pagoda sways in the opposite direction of the previous one and due to the fact that they are fastened to each either by a “latch bolt” which is nothing but a thick central pillar running from bottom to top, even if one layer slide off to the side – the sturdy pillar returns it to the centre. This pillar during an earthquake sways like a pendulum acting upside down counteracting the seismic force. This remarkable, logically built type architectural piece has existed in the world for well over a 1000 years. It was designed simply with native wisdom and techniques. Pagodas have still kept its beauty without loosing the true essence of science. This entry was posted by Benzu JK on November 13, 2010, 5:27 am and is filed under Architecture. You can follow any responses to this entry through RSS 2.0.